This audio book is great. My 7 year old daughter loves it. Boys will find them funny too. We have listened to it so many times that she can recite parts of it. We have read all of the "paper" Junie B books. 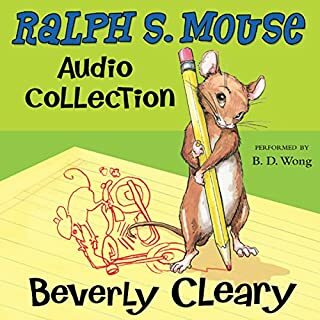 This is the only audio book available on this website. I wish there were more. If you are picky about use of grammar and proper pronunciation of words you may have an issue with this book. There is nothing offensive. Junie B is a sweet kindergardener with a very active imagination and spirit. The book is written from her perspective, with her words. I think the author does a great job of describing things from this little girl's perspective. The narrator does a great job too. It is hilarious, and you will find yourself laughing along with your kids. I love this book. I hope Audible will make more of them available very soon!! 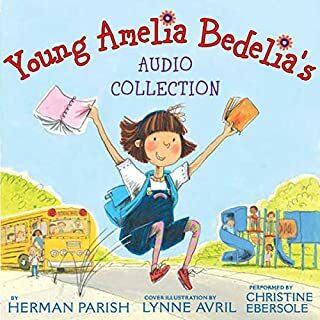 My five-year-old has been enjoying the Junie B. Jones series, so when we found audible has them, we rushed to get them. So far we have nearly the entire audible series and have been more than happy with them. The narrator is great and sounds exactly like what we would expect Junie B. to sound like. She also does a fine job at the other voices. Great for car trips! Would you try another book from Barbara Park and/or Lana Quintal? No, I would not listen to more Junie B Jones for several years. I got this book to listen to with my 3 and 5 year old children. I was disappointed by the language and in the story. Every other word was "stupid" in both of the stories. My husband and I wanted to turn the story off, but the girls were very interested in the story line. Would you be willing to try another book from Barbara Park? Why or why not? Not for many years, or not without listening/reading it in advance. If you could play editor, what scene or scenes would you have cut from Junie B. Jones Collection? I would have cut out the poor language (use of the word stupid). My children liked the stories and have asked for them again.... but I didn't like the use of the word stupid. Park & Quintal - A Great Team! My little 4-year-old daughter and I heard the first story (stupid smelly schoolbus) from a free CD from Wendy's. We have laughed our heads off for two years now. Now she is 6, and still always asks to hear the series. We've listened to 1 through 10 so far, having purchased the 2-10 from audible.com. 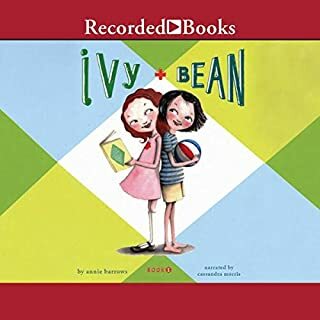 My daughter gets a kick out of Junie's mispronunciations and grammar snafus--no hazard that your child will learn from Junie--they really do know Junie's not perfect. Lana Quintal's voicing of all the characters is wonderful. Her comic timing, the different voices... I love to read and normally would prefer the written word, but I do believe that Quintal fully vivifies Park's wonderfully funny writing. Junie is wonderfully and sweetly feisty, and has given great satisfaction to my little one. The books can be very touching and moral, too, in the most down-to-earth way. Thanks, Wendy's, for the free first book. And thanks to Audible for having the rest of them. They have been a treasure on our commute for 2 years now. Lana Quintall is great. She brings this story to life and has the whole family laughing. 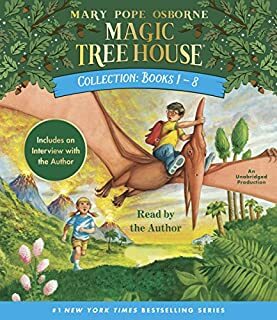 Bought the series the summer before my son entered kindergarten. We're listening again, and he's entering 2nd grade now. Funny for both kids and adults. Love the narrator! Not a good example for developing children. Not sure. 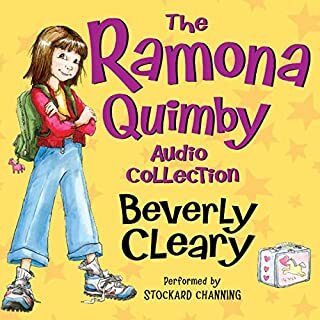 We've already listened to all of Beverly Cleary's quality stories. Junie B is a negative, disrespectful, unhappy little girl with bad grammar skills. Everything is Stupid, Dumb, Fat and she Hates it. I would suggest passing on this book if you don't want your child saying "runned" instead of "ran" and "bended" instead of "bent". Junie B is not the kind of girl I want my kids looking up to, I wouldn't even want them being friends with her. The narrator was decent I think, but it was really hard for me to get past the content to really evaluate her fairly. I think the stories could have been fun/funny if there wasn't so much hating and dumb this and fat that involved. I can even tolerate the bad grammar, but the attitude is just awful. 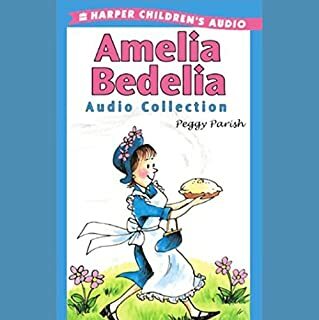 I have listened to so many books from audible, both adult and kids. Some I absolutely loved, some I disliked. I have never been moved to write a review before now. I disliked this book so much I just had to warn other parents about it. In a book for children it's completely irresponsible to use incorrect grammar and words. It's cute to talk like a five year old, and that cute vernacular does enhance the story. HOWEVER, it adds nothing to say "bended" instead of "bent" and so on, and it is damaging to children who hear and repeat, and who are doing their best to get it right. Why in the world would anyone do this to them? We saw the musical (in which the language was correctly spoken) and thought it was so adorable we couldn't wait to read the stories. Forget it!